This recipe goes back quite a few years and I'm sure that many of you have made it or eaten it before. I was given this recipe about 1980 by a friend, who actually made it with pistachio pudding instead of chocolate. I've also eaten it made with banana pudding and cut up bananas, so it can be made according to what you're craving that day! I normally use the chocolate pudding as everyone in my family will eat it and we all love chocolate. 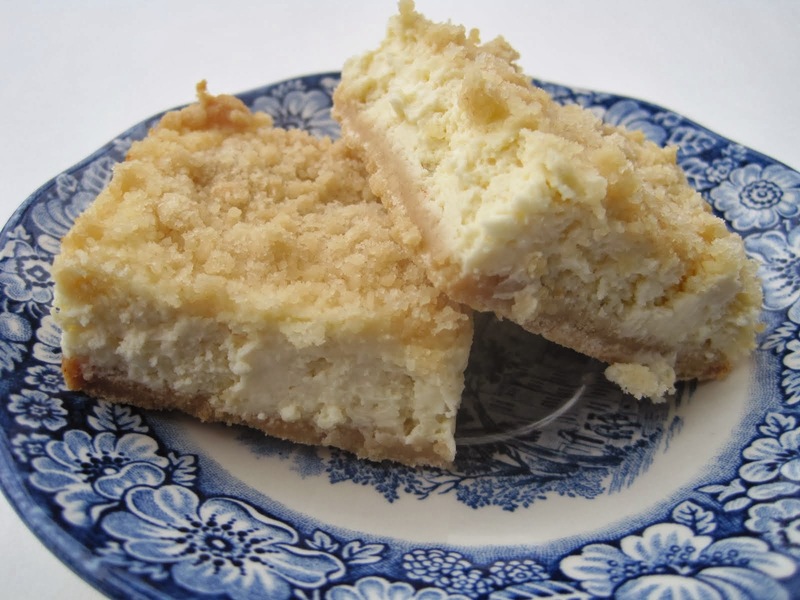 This is a delicious, addictive dessert that was always requested at family gatherings or pot luck dinners at church. 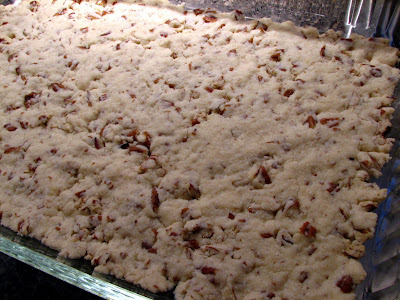 The first layer is a crisp crust made of flour, butter, and chopped pecans and it adds such a nutty, flaky layer to hold the rest of the dessert. 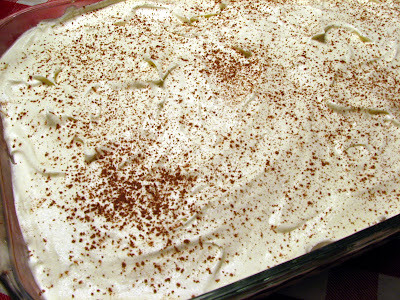 The second layer is a yummy cream cheese layer and over that, the pudding. On top goes the rest of the whipped topping, or even whipped cream, if desired. I normally top that with some chocolate shavings, mini chocolate chips, chopped nuts, or some cocoa lightly sifted over the top, to give it a nice finish. 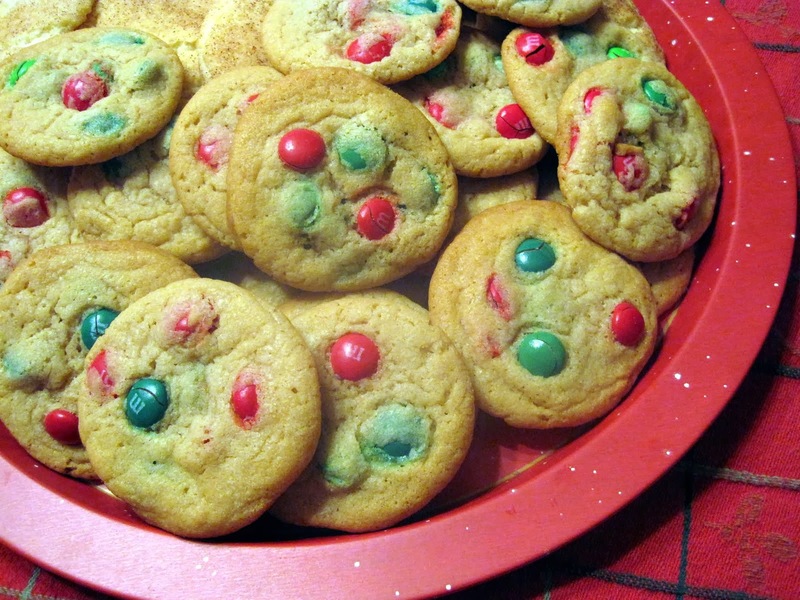 It's so good and is one of my children's favorite desserts of their childhood! Combine all ingredients in a bowl; scatter the crust mixture over the bottom of a 9x13 in baking pan and press together to form a crust. Bake in a preheated 350 degree oven for 15 minutes. Cool. Mix together the cream cheese and sugar; then fold in the whipped topping. Place spoonfuls of this mixture all over the cooled crust. Gently spread out the cream cheese to cover the crust, taking care to not break the crust. Combine pudding mixes and milk and stir until well blended and thick. Spoon pudding over cream cheese layer and carefully spread it out. Spread topping evenly over the pudding layer. Top with nuts, chocolate shavings or sifted cocoa, if desired. Refrigerate for several hours before serving. Enjoy! I have such vivid memories of some of the delicious dishes that my Mother used to make. This dessert is a memory maker for my kids. I can remember them begging for " just one more piece, Mom"! I'm submitting this recipe to Shelby of The Life and Loves of Grumpy's Honeybunch, and Laura, of The Spiced Life, for this months Family Recipes roundup. What's your favorite dessert from your childhood? Let me know in the comments! mmmmmm..this looks really rich and delish..
Wow, I love all the different flavors together! And the layering is really pretty! That looks so good. I know I will just have to try that. My family would love this! I am drooling over here! Looks fantastic! I have made this several times in the past, but need to make this one again soon. Mt favorite childhood dessert was my mom's pineapple upside down cake. 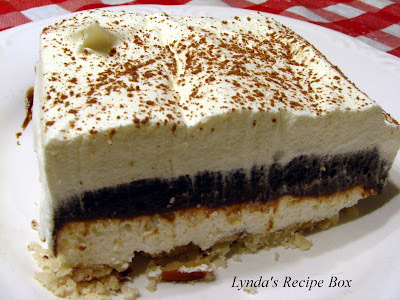 This sounds scrumptious, what a decadent pudding dessert, loving the four delicious layers! this is full of win--it's a looker, the textures sound like they contrast wonderfully, and i love the potential for variations! Ohh my gosh that looks amazing, I am going to have to try this one! I guess my childhood dessert favorite would be Apple Pie! That looks delicious. I think my Mom used to make something like it. My favorite family recipe is my Mom's Pumpkin pie. Oh my my - I love anything with chocolate pudding! Can't wait to make this one - yummy!! What a fantastic dessert. It really looks amazing. Wow - what a delicious dessert. It looks so rich and creamy. Yummie! What a combination of flavors! A fabulous dessert for any family gathering! I know my boys would be crazy for it! You did an amazing job cutting a perfect slice! It looks fantastic! OH MY GOSH! Will you look at this treasure!!! I've never seen or heard of this, where have I been?! This looks super! This looks sooo yummmy! My favorite dessert from childhood is the same as now...ice cream! My dad used to let me have it for breakfast instead of a glass of milk. :-) I needed the calories back then but its hard to break the habit as I still have it for breakfast on occassion. I ADORE these layered pudding recipes! Childhood favorite? Who knows! There are far too many to choose from. How many is it? because there're of 100g, 200g, even 500g! Thanks!! Lala, 1 stick of butter here is 4 ounces, or 1/4 pound, or 8 tablespoons, or 1/2 cup. The stick also says 113.4g. I hope this helps! I didn't think about so many different measures! Roberta, I'm so glad you found my recipe! So many times we do lose those recipes that we hold dear when loved one pass away. So glad you visisted! I remember making this back in the 80's. It was with Lemon pudding and it was called Lemon Lush !! Oh my, and I think I will have a little of this! 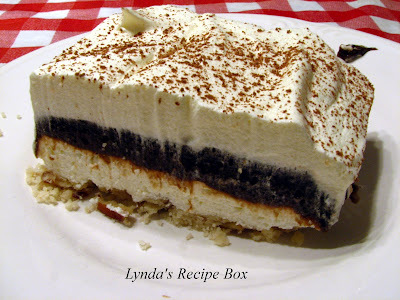 I use Oreo cookie crumbs for the crust and a package of vanilla pudding and a package of chocolate pudding with a little almond extract as the third layer. Also better if real whipped cream is used instead of Cool Whip. One of my most requested desserts. I made this just a few weeks ago for the first time - the only difference was that I used a family-sized package of brownies (prepared and baked according to directions on the box) as the crust. It was amazing, and my husband was especially excited since he remembered it from his childhood. What size of instant pudding? The small or large box? What size of the instant pudding - large or small box? I missed your question- so sorry! You will need a small box of pudding for this recipe. I made this but with cooked pudding. I make it the night in the microwave before so that it is good and cold. I put piece of saran wrap on top to keep from a harden pudding on top (or sometimes not as I like it...I just skim it off and enjoy while making the dessert) I just don't particularly like instant pudding. YUMMY either way. I have also been known to put a layer of vanilla pudding with the chocolate at times. 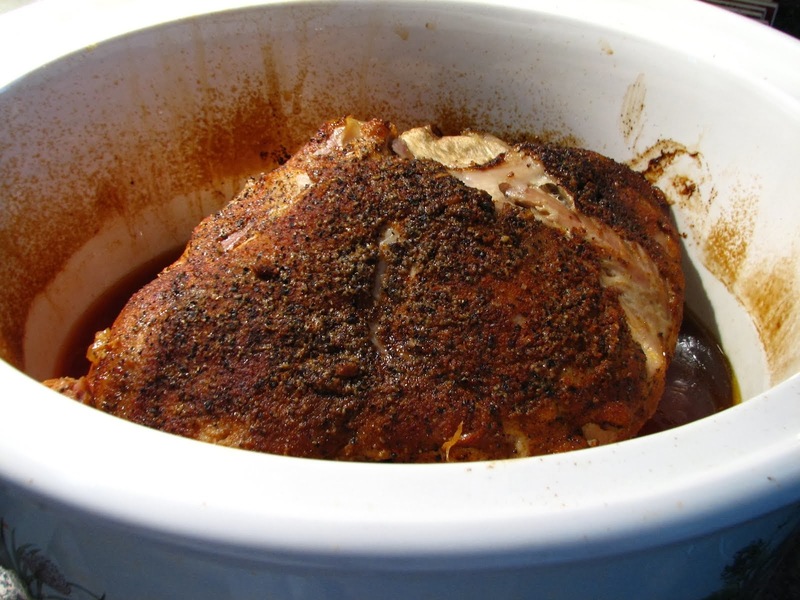 Pulled Pork- done on the grill!